After quite an absence from our screens in the UK, Secret Army is now showing again on the satellite channel Alibi in the early hours of the morning. My in-depth book (running to some 672 pages) which celebrates and explores Secret Army was published by Classic TV Press on 1 December 2008. The book is available to order from the Classic TV Press website. The book examines each and every episode of Secret Army in detail and also uncovers the historical background to the series's storylines. 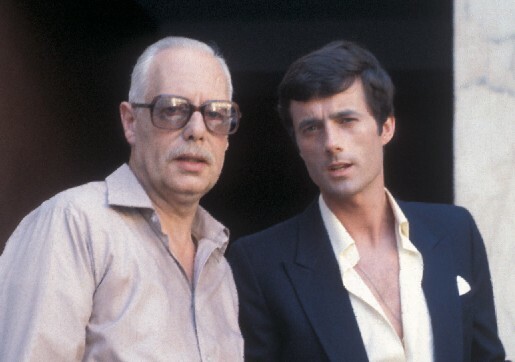 In addition, Secret Army's production is detailed from it's conception in 1976, through to its final series, made in 1979. The show's life post-1979 is also examined as is the spin-off Kessler and the unbroadcast reunion episode. There is also a thorough locations guide. The book is littered with photos taken by the series's cast and crew and much, much more. Provided you order the book from Classic TV Press in time, then you should receive your copy by Christmas. Secret Army begins another repeat run on UK TV History (Freeview) from mid-April. 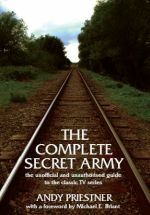 My new book on the series 'The Complete Secret Army' is still on track for publication this year. 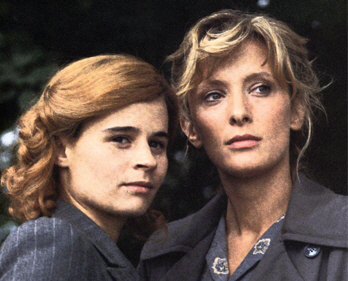 Secret Army begins a repeat run on UK TV History (Freeview) this week with Episode 1: Lisa Codename Yvette at 5pm (Monday 12th November), repeated at 9pm and 10am the next day. The whole series will be broadcast every weeknight for the next eight and a half weeks, finishing in early January. Yes, I know, its ages since I've added an update. What can I say? I've been very busy - mainly getting a new day job. For all of you wondering whether my Secret Army book will be ready for Christmas - it's now looking unlikely, but its well on the way and will definitely be published next year. In other news: Angela Richards (Monique) has recently made a triumphant return to the West End where she is appearing in the prominent role of Fraulein Schneider in Cabaret, alongside Amy Nuttall as Sally Bowles and Julian Clary as the Emcee, at the Lyric Theatre. 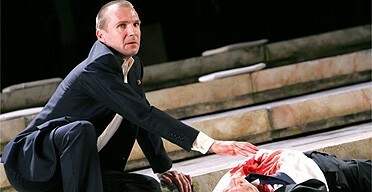 The show is currently booking until March 2008. Don't miss it! 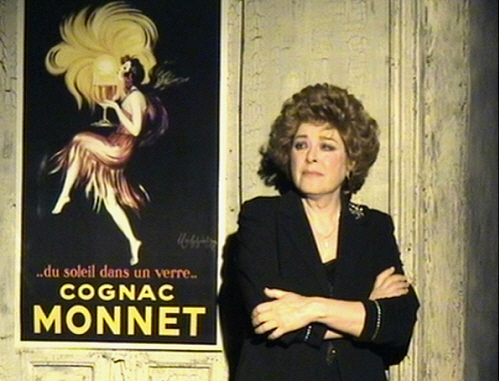 In June 2006, Angela Richards returned to the studio 25 years after recording the original 'Au Cafe Candide' LP to record a new album of her songs from the series. As well as old favourites such as If This Is The Last Time I See You and Memories Come Gently, the album, entitled 'An Evening at Le Candide', also includes the songs that she performed at the March 2006 theatre evenings. 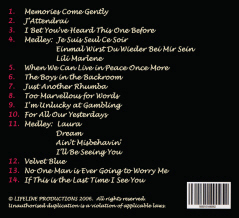 To view the full track listing and purchase this CD visit the new look merchandise page. Thanks to everyone who supported the recent Secret Army evenings at the King's Head Theatre (off-West End) in London. The Sunday night sold out quickly and Monday's second and final night saw the theatre very close to capacity. 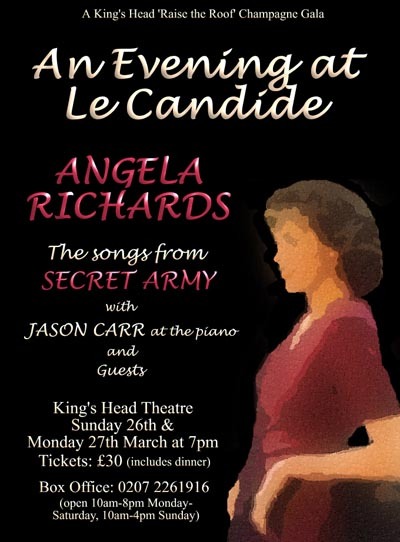 I think its fair to say that Angela Richards (Monique) wowed audiences with her songs from the series such as Memories Come Gently and I Bet You've Heard This One Before and with some other numbers that definitely weren't in Secret Army, including the 'once seen, never forgotten' Just Another Rhumba. Throughout the evening Angela reminisced about the series and also looked back at the real-life evasion lines and RAF flyers of the Second World War. The experienced Jason Carr accompanied Angela at the piano and enthralled everyone with his recital of the Warsaw Concerto. Angela was joined each night for a post-show Q&A session with her Secret Army colleagues. On the Sunday night these included Juliette Hammond (Natalie), Michael Culver (Brandt), Terrence Hardiman (Reinhardt), Paul Annett (Writer/Director), Godfrey Johnson (Film Cameraman) and Joan Glaister (wife of Gerry - the late Secret Army creator and producer). Monday night turned out to be 'Girls Night', with Juliette once again in attendance, accompanied by Jan Francis (Lisa 'Yvette') and Hazel McBride (Madeleine) - the full complement of lead actresses from the series. The event raised a considerable amount of money for the much needed refurbishment of the King's Head Theatre. I'm delighted to announce that booking is now open for a very special Secret Army event at the King's Head Theatre, Islington, London. 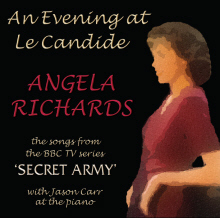 Angela Richards (Monique) has agreed to sing many of the songs from Secret Army in a special charity gala performance. As well as singing her own compositions such as Memories Come Gently and If This Is the Last Time I See You, she will also be performing rousing traditional numbers such as Lili Marlene and The Boys in the Backroom. She will also be reminiscing about her time on the series. To make the event even more special, some of the series' cast members will be reunited with Angela on stage at the end of the show for a 'Question and Answer session' with the audience. The ticket price of £30 includes dinner, served before the show (the King's Head is a 'dinner theatre'). Tickets have been on sale to members of the Le Candide mailing list for several days so you will need to act fast if you want tickets. EVER SEEN 'WISH ME LUCK'? 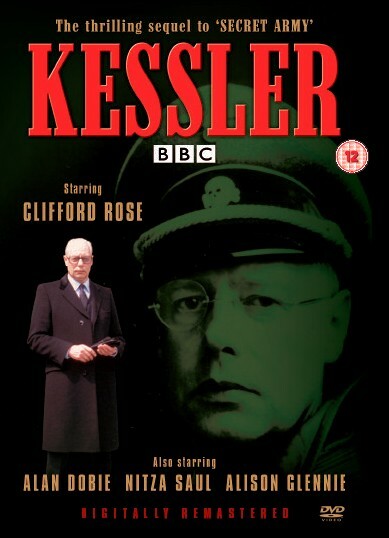 Kessler was released on DVD and VHS on 10th October. The eagle-eyed amongst you will have noticed that another menu button has appeared on the site which leads to high-quality images from the series which can be used as PC desktop backgrounds. Enjoy! Secret Army is currently enjoying a repeat run on Belgian TV on the 'een' channel (Flemish for 'one'). Thanks to Victor Dua for this information. If there's one question I'm asked more than 'when is Kessler coming out?' (which by the way has still not been confirmed - I'll let you know as soon as it is) it's 'do you know which parts of Brussels were used for the filming of Secret Army?' 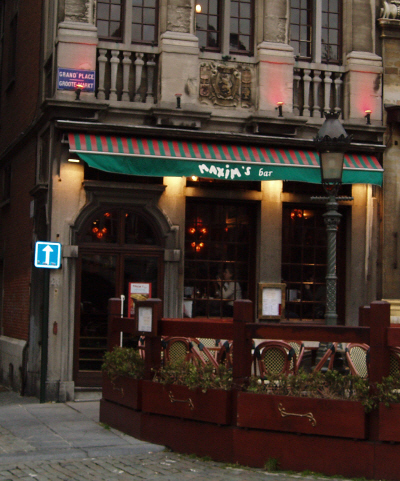 Over the past few weeks I've spent some time researching this and the result of my endeavours is the new 'Brussels Locations' section of this website. If you do decide to use my guide to make your way around the Brussels of Secret Army, or can tell me of any locations I've missed, then I'd very much like to hear from you. You can access the new guide here or from the navigation button on the left hand side of this page. 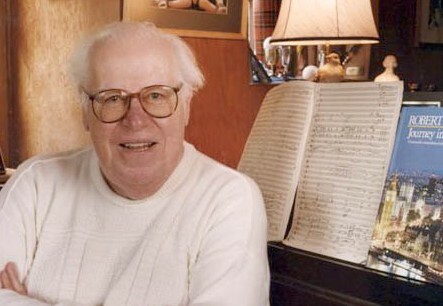 Gerard (Gerry) Glaister, the creator and producer of Secret Army, has died. 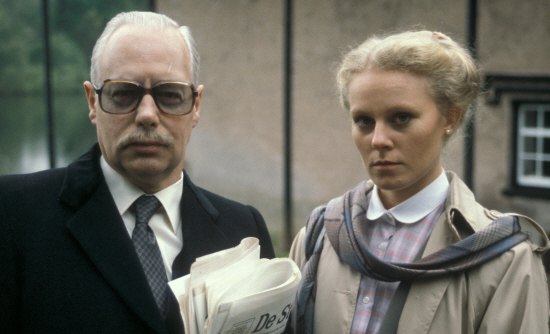 Gerry was one of the BBC's most prolific drama producers with a huge list of successes to his name. As well as Secret Army, Glaister was behind Kessler, Colditz, The Brothers, Howard's Way, The Fourth Arm, Blood Money, Skorpion, Cold Warrior, Buccaneer, Oil Strike North, The Expert, Codename, Morgan's Boy and Trainer. 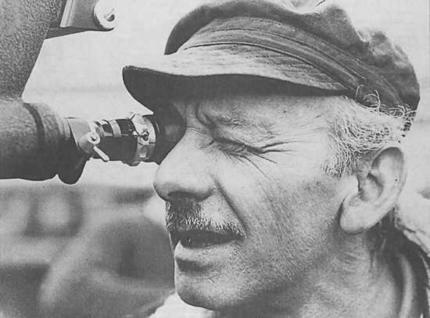 Gerry always became very heavily involved in setting up the series he produced: casting the leads; devising storylines; recruiting directors - effectively acting as captain of a very tight ship. 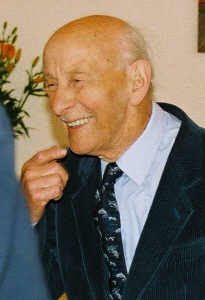 Thankfully Gerry and his wife Joan were able to attend the June 2004 Secret Army reunion in London during which the Series 3 DVD special features were recorded. Over lunch he sat at the head of the table and was toasted by the gathered cast and crew. Thank you to all those people who sent on messages of condolence - these were very much appreciated by Gerry's family. 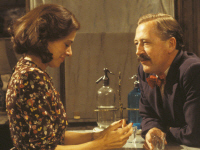 The series stars Clifford Rose, Alison Glennie (Blake's 7) as Ingrid, Nicholas Young (The Tomorrow People) as Franz, Alan Dobie (War and Peace, Cribb) as Richard Bauer and Nitza Saul (Doctor Who) as Mical Rak. It was directed by Secret Army stalwarts Michael E. Briant and Tristan de Vere Cole, written by John Brason and produced by Gerard Glaister. There is now a dedicated place on the web where you can discuss Secret Army and Kessler just follow this link to TV Gold, register and then you can start posting. The new forum ismaintained by Chris Herbert and also covers several other classic TV series such as Survivors and Upstairs Downstairs. The forum is still pretty new so Chris needs your help to get the ball rolling. Why not start a discussion there today?